Check out our Fortnite Ruin Challenge List Guide post! We are looking for talented writers, apply here! Home » Fortnite » Fortnite Ruin Challenges List Guide – Cosmetics, Solutions, More! Fortnite Ruin Challenges List Guide – Cosmetics, Solutions, More! We're taking a look at all of the challenges for the Ruin skin in Fortnite! Our Fortnite Ruin Challenges List Guide has a full list of challenges, solutions, and all of the cosmetics you can earn for this skin! Ruin is the hidden Discovery skin you earn by completing 55 challenges during Season 8 of the Battle Pass. 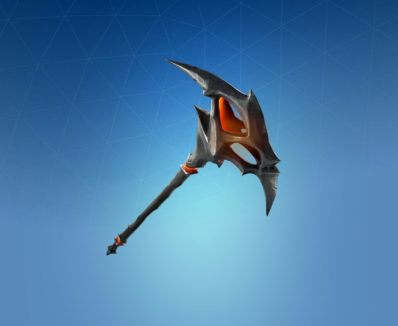 If you complete his challenges, you can earn a Back Bling and a sweet new Pickaxe! 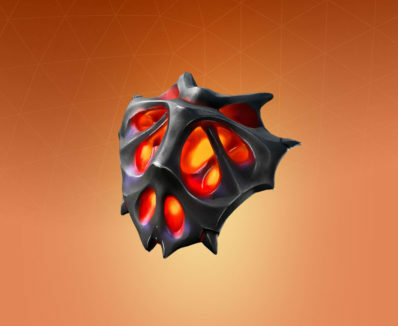 Ruin is a pretty awesome skin, but he seems pretty hellbent on destroying things if you take a look at his challenges. While that might be the case, he also has some pretty nice cosmetics to earn by completing those challenges. We've got a full list below that you can take a look at, and some hints at how to complete them quickly! These are based off of leaked information, but they are very likely to be the correct challenges. There's not a lot to these and you are generally just destroying things. Go destroy some trees! A forest would be a good spot to complete this, something near Lonely Lodge or near Haunted Hills. Time to destroy some rocks! There's a quarry to the west of Fatal Fields that has a lot or rocks to be destroyed. If you head to the major city like locations you can find quite a few cars to destroy, places like Tilted Towers, Pleasant Park, Retail Row, and Paradise Palms. There's also the RV Park to the east of Retail Row that will have some things to destroy as well. This one might take a while, but you should eventually finish it by playing the game normally. Another one that might take sometime depending how much you play and how often you survive until the higher ranks of the game. This is an easy one, just complete the challenges you get each day! You will need to complete any three of the challenges to earn the Dying Light Back Bling, and all six to earn the Dread Pickaxe! These can be completed at anytime as long as you've unlocked the skin. You don't have to rush to complete them. Lifelong gamer and builder of websites, Evident is the site admin for Pro Game Guides. Fortnite Creative World Cup: 3 Million Dollar Prize Pool, Five Events, Five Creative Trials! Epic and Legendary Infantry Rifles Coming to Fortnite in the Next Update! Fortnite Nvidia GeForce Bundle Owners Get New Outfit, Back Bling, Glider, & Pickaxe! Another thing: is pretty easy to do the Deal damage to opponent structures challenge in the Deep Fry event: just go to the enemy’s restaurant and destroy their structures away. I just needed 3 plays to reach 10000. Fortnite Air Royale Challenges List Guide – Cosmetics, Solutions, More! Copyright © 2019 Pro Game Guides. All rights reserved.